Washington – Meghan Freed, who practices family law in Hartford, said the massive tax overhaul surprised divorce attorneys and their clients by scrapping a 75-year-old tax deduction for alimony payments. Ending the deductibility of alimony payments was proposed in the House tax bill, but not in the Senate’s version, so attorneys had to wait until a final bill was negotiated to determine what would happen to this deduction, which figures prominently in divorce negotiations. So, for weeks before the end of the year, Freed said divorce attorneys were unsure of how to advise their clients on the fate of the alimony deduction, “which is a way to take the sting” out of those payments. For example, a high-earner paying $30,000 a year in alimony can now deduct that amount form his or her income. If that income is federally taxed at 33 percent, the deduction saves that taxpayer $9,900. 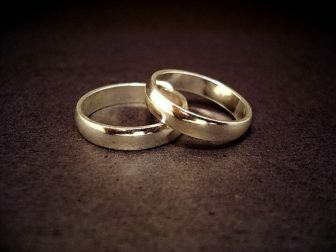 Concern that the final tax bill would eliminate the deduction as of Jan. 1 resulted in a “mini-rush” to finalize divorces before the New Year. That mini-rush was premature. The final tax bill approved by Congress makes the changes effective Jan. 1 of next year, so the new rules won’t affect anyone who divorces or signs a separation agreement before 2019. But that may create a rush to finalize divorces and separation agreements this year by couples who want to make the most of the alimony deduction before it’s gone. “(The deduction) gives us a tool to expand the amount of money that the family has, and now we won’t have that tool,” Freed said. The end of the deduction is also expected to complicate how child support is calculated and how assets are divvied up. The change in the deductibility of alimony was one way Republican drafters of the tax overhaul are raising money to compensate for the tax cuts in the new law. After Jan. 1, 2019, not only is alimony paid not tax deductible, but the spouse receiving the alimony no longer has to pay taxes on it. Currently it works the opposite way. The person who pays alimony, usually the higher wage earner in a divorcing couple, deducts he full amount and the recipient pays taxes on that alimony at a rate of 15 percent. The changes in the tax law means the U.S. government will end up with more of the divorcing couple’s money. “This may be good to raise money for the U.S. Treasury, but it is not good for people,” said Barbara Aaron, a partner with the Harford-based Berman, Bourns, Aaron & Dembo law firm. Aaron said the new law “will have a dramatic effect on the payment of alimony,” resulting in smaller payments to the spouse receiving alimony. “If there is no deductibility, the recipient will get less,” she said. Aaron said the tax changes will complicate the delicate and often difficult process for feuding couples to come to an agreement. “It changes the landscape on how we negotiate,” she said. The new tax rule won’t affect anyone already paying alimony. But a divorced spouse seeking changes in an agreement who goes to court could be subject to the change if “the modification expressly provides” that the new tax treatment applies. The personal exemption, which a custodial parent could claim for each child, also is eliminated in the new tax law. On the other hand, the child tax credit was increased. These changes also will figure into new divorce negotiations. In Connecticut, state law allows courts to order the payment of alimony in the case of an annulment and a legal separation. The good news is that Connecticut’s divorce rate is lower than that of most states. According to the U.S. Census Bureau, about 10.6 percent of the state’s population is divorced and 1.4 percent is separated.